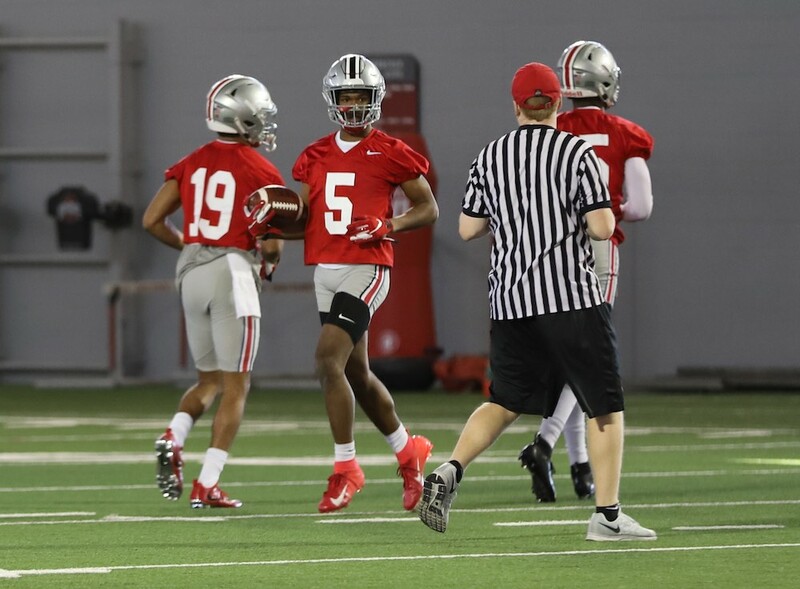 Two more Buckeyes lost black stripes following Monday’s Ohio State football practice, as true freshman receiver Garrett Wilson and redshirt freshman walk-on receiver Austin Kutscher both received the coveted nod. The removal of the black stripe from their helmet signifies that they are now full-fledged Buckeyes. 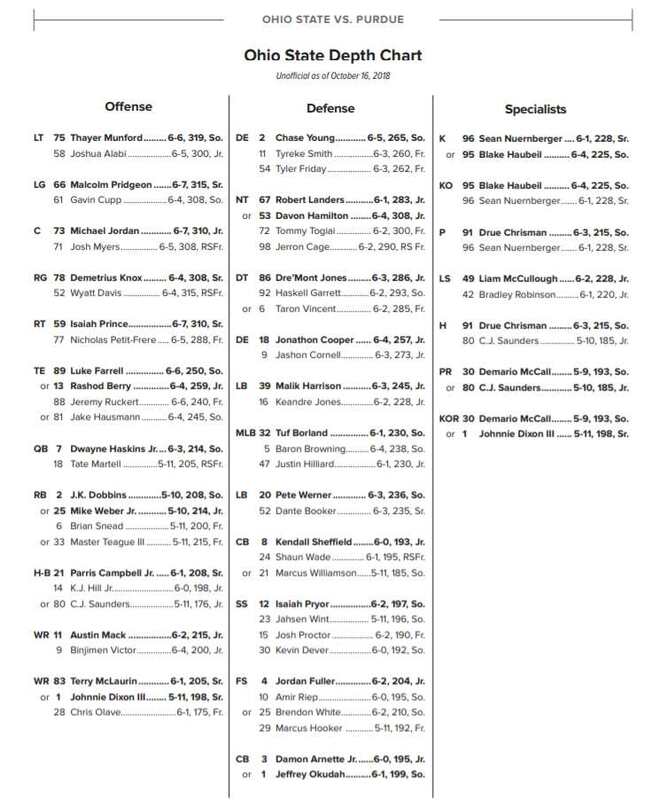 Wilson becomes the first member of the 2019 recruiting class to have his black stripe removed and is also one of just a handful of true freshmen to lose the stripe in the spring, joining the likes of sophomore nose tackle Tommy Togiai and senior receiver Austin Mack. Wilson has been one of the talks of camp for his ability to catch everything and look completely comfortable before, after, and during the catch. He is also the highest-rated receiver the Buckeyes have signed in the internet recruiting era, ranking No. 2 at his position and No. 20 overall in the nation. You can see Wilson’s removal video below. The first black stripe removed on the day, however, went to Kutscher. In his second year with the program, the Massillon product was dynamic in high school, catching 93 passes for 1,349 yards and 15 touchdowns as a senior. Kutscher has yet to see action for the Buckeyes, but continues to progress as a valuable member of the scout team. Nine Buckeyes have now lost their black stripes this spring. The list can be found below the videos.